Rather romantically translated as ‘Valley of the Wild Horses’ Ebbw Vale offers some of the most spectacular scenery to be found anywhere in Wales. 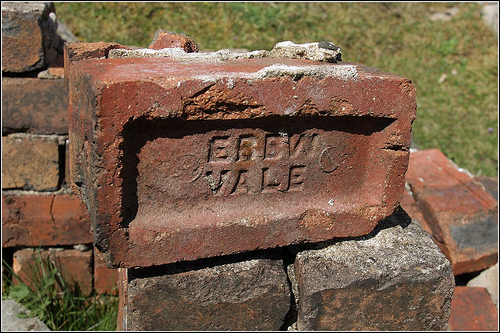 In Welsh the name of the place is Glyn Ebbwy and it is a place that was built around its heavy industrial heritage. Up until the end of the 18th Century there were fewer than one hundred and fifty people living in the valley, but thanks to the industrial revolution and the subsequent increase in demand from coal, the coal fields of South Wales were expanded and the once quiet way of life of those in the valley was changed dramatically. The valley became home to what was once the biggest steel works in the whole of Europe and with it came the expansion of the town. Sadly with the later demise of the coal mining industry the town fell into decline, it was forced to reinvent itself and draw on its heritage in order to face the future. There are three museums in the valley that explain the history of the town and chart its progress from a heavily industrialised town to a forward thinking and innovative community. The retail shopping park has made Ebbw Vale a place that people regularly come to visit, and the town itself is perfectly situated for visitors to use as a base for exploring the beautiful Brecon Beacons. The beautiful South Wales scenery is enough to make you want to stay outdoors and enjoy the landscape as much as possible, and in doing so you will be likely come across one of the more unusual features of this part of the country. At Nantyglo you will find the unusual Round Towers. These two buildings were built by two nineteenth century tyrannical industrialists, namely the ironmasters Cranshaw and Joseph Bailey. So severe were the conditions in which they forced their employees to work that they built the towers for their own protection, fearing that at any moment they could have not only a workers but also a Welsh revolution on their hands. Early riots prompted them to build a safe haven for themselves to ensure that they did not fall foul of the workers resentment. The towers are located on Roundhouse Farm and although entry to the site is free across the year, the buildings themselves are only accessible with the prior permission of the Jones family that own the land on which they are situated. One way to enjoy the beauty of the valley is by visiting Parc Taf Bargoed. This is a beautiful Green Flag park which offers cycle ways, bridle paths and walkways on which you can enjoy the stunning South Wales scenery. The park is located on the site of an old colliery and is home to many native plants and animals. The river which runs through the park did, at one time, run black with industrial run off; it is now clear and filled with marine life. The river bank makes a wonderful place for a family picnic too. Aside from enjoying the peaceful surrounds of the park you will also find that it is a centre for a host of outdoor themed activities including kayaking, biking and fishing.